BioMetal. The obscure SNES shooter that is known for one thing: Its bizarre soundtrack. Today I'm going to talk a bit about BioMetal and what it means to me. Nothing here is going to shed any light on this oddity, I just wanted to talk about it because I was listening to 2 Unlimited the other day. Yes, in 2016. The chances are great that you've heard 2 Unlimited, but you've probably never heard of 2 Unlimited. If someone were to ask you, "What's that song that's always associated with sports?" and the answer wasn't Rock 'n Roll Part 2 by Gary Glitter, then the answer would be Get Ready by 2 Unlimited. 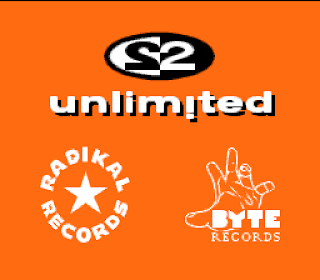 2 Unlimited is a techno group created in 1991 by two men named Jean-Paul DeCoster and Phil Wilde. They had created the instrumental version of the aforementioned Get Ready and thought that they would experiment by laying some vocals over it, so they sought out the assistance of a man they had previously worked with named Ray Slijngaard to add some lyrics. Ray brought in a friend of his named Anita Doth to help, and in the end, 2 Unlimited as we know it was born. They released three albums and a greatest hits album over the years until 1996 when 2 Unlimited disbanded. The name 2 Unlimited was still owned by Paul DeCoster and Phil Wilde, so they formed a new 2 Unlimited with two new members. One album was released with this lineup before it too disbanded. This album did not do as well as any of the previous albums featuring Ray and Anita. It would seem as though people preferred the old group, so shortly after the new lineup disbanded, remix albums of the old material were presumably released as a, "Wait, guys! Look! 2 Unlimited is still good!" move. The "new" 2 Unlimited basically ended up being the music equivalent of Halloween III: Season of the Witch, and so in a way, the Ray and Anita version of 2 Unlimited is like the Michael Myers of techno. And that's the first time that sentence has ever been constructed anywhere. 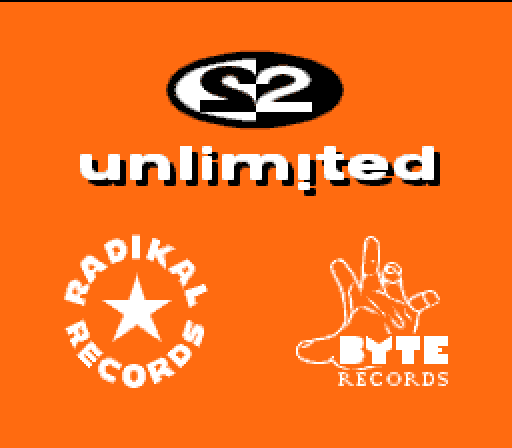 Pre-title screen image about 2 Unlimited. BioMetal was developed by a company called Athena and published by Activision, who we all now know as the company that milks franchises until the market is over saturated with them and people lose interest in their properties. Except Call of Duty. That never seems to lose steam for some reason. It was released in Japan in March of 1993 and in America in November of 1993. That gave them eight months to localize it... and change several aspects of the soundtrack. Yes, that's correct. The Japanese version of BioMetal does not feature the 2 Unlimited soundtrack. Only the American and European versions have it. So somewhere in the localization process, someone thought that BioMetal needed to be jazzed up a bit so it didn't disappear in the sea of other titles being released at the time. They more than likely knew BioMetal wasn't that stellar or unique of an experience, so what could make it stand out? How about putting some popular licensed music in it? There we go! It's like if a new Langrisser game came out and they added a chiptune version of Uptown Funk to the soundtrack. It's a weird move and I can't really justify it, but I'm sure it made sense to someone up the chain at Activision. Did it move any copies of the game? Maybe. Probably not, but maybe. Surely there was some 2 Unlimited mega fan somewhere that lost their mind when they saw it. However, I can only think of a few games from this era that had licensed music in the soundtrack, so this is actually a bigger deal than it seems. BioMetal featured great renditions of Twilight Zone and Get Ready from their first album. Hearing that music while playing an action packed shooter was pretty cool at the time, and I still like the chiptune versions of those songs found in the game. The Japanese music is pretty unmemorable, so I don't think this game will ever reach the levels of Japanese vs American Sonic CD soundtrack debate heat. Techno rap singer by the name of Ray! Another interesting thing that happened during the localization is that they changed the names of the pilots from David Onizuka and Cynthia Matthews to Kid Ray and Anita. So not only are we hearing 2 Unlimited music in the game, but the vocalists of the group are piloting the ship! This reference was definitely not lost on my friends and I, but I'm certain if you're not familiar with 2 Unlimited then this change would fly completely under your radar. My friends and I are no strangers to 2 Unlimited, by the way. I originally bought Get Ready on cassette tape and then later bought their second album No Limit way back in the early 90s. Another friend of mine got their third album on CD for his birthday in 1994. We were super into 2 Unlimited back then, but I'm not sure what prompted me to pick up that first album on cassette. 2 Unlimited was ingrained in our lives before we even knew about their presence in BioMetal. A friend of mine did own the game, but I'm almost 100% certain the soundtrack being what it was had no bearing on his purchase. BioMetal isn't a bad game, it's just another shooter in a sea of shooters. But like Phalanx with its old banjo playing man, BioMetal will forever be remembered by something strange that has nothing to do with the overall quality of the game. 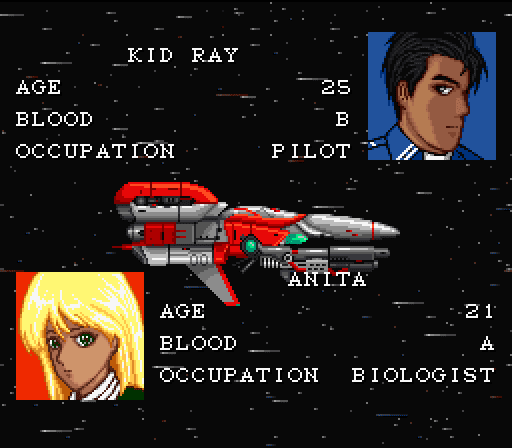 If you're going to play a shooter on the SNES there are definitely better choices such as Super R-Type which BioMetal apes a lot of its design off of or even Darius Twin. In closing, ladies and gentlemen, here's a 2 Unlimited video of Kid Ray and Anita dancing around inside a big pinball machine. They do what they want, and they do it with pride. Enjoy.